Another affordable 7-inch tablet announced by Cherry Mobile is now making hit for its SRP of Php2,999 and will be available starting this week, according to the report by Yugatech site. Cherry Mobile Fusion Air has a 7-inch screen display, 512MB of RAM and 4GB of internal storage (expandable up to 32GB) and powered by Android 4.2 Jellybean. The full specifications is listed below. According to Yugatech, Cherry Mobile Fusion Air will be out this week together with the new version of Superion tablet, "Superion TV 2." 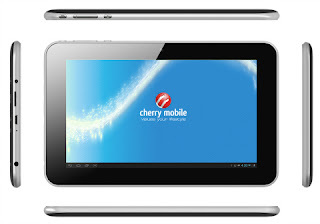 Comments or suggestions about "Cherry Mobile Fusion Air tablet at priced of PhP2,999" is important to us, you may share it by using the comment box below.